One of the most common questions that I get from people is whether or not its easy to beat eCommerce sites on the first page of Google. More specifically, if all the first page results in Google are site like Amazon.com, BestBuy.com, Walmart.com, or other eCommerce results, can these be outranked? Today, I am going to dig into why I always avoid competing for a keyword when all the results are eCommerce sites, even if all the metrics point to it being an easy to rank for keyword. That's right, even if all the pages have very few juice page links, low Page Authority, or other poor metrics, I will still usually avoid these keywords. Target keywords where not all the results are using the exact keyword in the title. At least 2 of the results with less than 30 backlinks also have a Page Authority less than 30. Or you can look for results that have a low PageRank (0 preferred) – but Page Authority is a better metric. Meaning 2 results need to have a Page Authority of 30 or less AND have less than 10 links. Target results with weak types of sites (article directories, forums, yahoo answers, etc.). Target results where ranking pages are NOT root domains. So, for MOST keywords, if you can find low competition in regards to the above points, you are well on your way to snagging a keyword that will be easy to rank for. This is exactly what I did to get a #1 ranking for my public niche site, bestsurvivalknifeguide.com. However, for certain queries, such as eCommerce keywords, these standard rules don't apply. Even if you find a result that has all low Page Authority and all low Juice Page Links, etc…or even if it has a super low KC (from Long Tail Platinum); it might be a keyword that is difficult to rank for and should be avoided. Google is a computer program that does its best to think like a human. So, if we simply think about why it might be difficult to outrank eCommerce results with our niche website, it makes perfect sense. When someone types in an eCommerce keyword, they are usually hoping to buy the product or certainly see prices and real options. Google has learned this, and therefore returns sites that actually sell the product when these search queries are typed in. Let's take a look at an example. Suppose we were analyzing the keyword, “Queen Comforter” . While its not a perfect example, I think its a very good example to illustrate my point. If all you were doing is looking at the number of Juice page links and PageRank, you might think you have a winning keyword! After all, 2 of the results have no PageRank (- no PR), 1 has a PR of 0, and 2 more only have a PageRank of 1. In addition, none of the results have more than 30 Juice Page Links! Bingo, right?? Well, first of all, you've learned to not just look at PageRank (as its becoming less and less important); so you look at the PageAuthority. You will see some that have a PageAuthority of 1 – this means that either the page is new, or SEOmoz just hasn't assigned a Page Authority. In this case, I usually look at the Domain Authority and split it in half. So, really the PageAuthority for the #1 result would be a 50. And overall, the KC is 37. So, if you were looking at this keyword just based on that criteria, you might be considering going after it – and you are correct that many of the NORMAL SEO metrics would indicate that you might have a shot to rank. But, guess what, its a special case because its an eCommerce keyword. And how do I know that its an eCommerce keyword and that special rules apply? Because all of the 10 results are actually selling the product (eCommerce sites). So, no matter how low the competition for a keyword may seem, you have to realize that users, and therefore, Google, want to see sites that ACTUALLY SELL THE PRODUCT at the top of the search engines. So, if you don't sell the product for these types of special keywords, I would avoid it. If all 10 of the ranking sites are “eCommerce” sites, I look no further – I avoid the keyword. I don't care what the metrics say. This is a special case, and Google is going to rank these sites. If MOST of the 10 ranking sites are “eCommerce” sites, I will look at only the sites that are “different”. If these different (non-ecommerce) are easy to beat sites, then I may go for it. In reality, I still mostly avoid these keywords. If only some of the 10 ranking sites (5 or less?) are “eCommerce” sites, I analyze the competition for the “other” sites just like I would for any other keyword. If these “other” sites are low competition – I'll feel like I can rank despite the eCommerce sites. I've highlighted 3 results, that are NOT eCommerce sites. So, 7 out of the 10 results are eCommerce sites and sell the product – heart rate monitors. My first reaction to seeing this many eCommerce sites is that I'll probably just avoid it based on that alone. However, just to confirm, I will look at the stats for ONLY the 3 highlighted sites. I see high Page Authority, high Page Ranks, and at least one with high Juice Page Links. I need to look no further, I'm moving on…I wouldn't want to mess with this keyword. The truth is, that there are other similar situations to the “eCommerce” rule that also may not follow the normal SEO guidelines. I think the eCommerce area is the most common; however, you always need to be thinking on your feet. So, in general, whenever you see the SERPs (Search Engine Results Pages) dominated by one type of site, you should start to consider that perhaps Google is doing this for a reason. And whatever that reason is (in their algorithm – your site may not match the needed criteria); and so perhaps you should avoid that. I don't have a specific list of types of results that I avoid – other than the eCommerce example. However, I am always aware that in some rare instances, the statistics don't reveal the entire story. If you have the ability to think on your feet, you will notice these patterns when you look at keywords. So, rather than look for specific examples to avoid, try to internalize the principle that if Google is only ranking a certain type of site – perhaps you should avoid competing in that niche. What Types of Keywords Can an Affiliate Site Rank For? Overall, the “normal” SEO rules almost always apply. The anomalies are very rare outside of the eCommerce keywords that I've explained. So, I wouldn't worry about this too much, because affiliate site can rank for all sorts of keywords. So, overall the market for affiliate sites (the type that I create) is VERY large. And in fact my FAVORITE types of results are keywords where all the resulting sites are affiliate based sites! This means that Google is happy to rank other niche sites…so why not mine? So, if I see lots of affiliate sites ranking, I like that, but I also go back and look at all the stats (PageAuthority, links, etc); because in this case the normal SEO rules do apply. As mentioned, one of the most common questions that I get is whether going after an eCommerce keyword dominated by Amazon, Bestbuy, and other eCommerce sites is a good idea. In my opinion, its not a good idea. I believe I've explained why in pretty good detail. In addition, there are just SO many other types of keywords that are easier to rank for; so I just avoid these. And again, just because you can't go after the specific product keyword; doesn't mean you can't add a modifying word like “review” or “best” to find a much easier keyword where you CAN compete. Finally, I want to stress strongly, that you need to be able to think on your own and try to think like Google does (as best as possible). This will help you to better see situations and keywords that should be avoided or keywords that should be targeted big time. What are your thoughts on the subject? Do you have any other examples besides eCommerce results where you think the SEO rules are a bit different? Leave a comment below, and lets discuss! So true Spencer. This has changed the landscape as a few years back you could outrank many of the ecommerce sites with good Seo. The push for large authority sites is in, eliminating lazy marketers. Wow, the timing on this post couldn’t have been more perfect. I had chosen a KW that is exactly what you are describing in this post and I’m glad I didn’t build it out more before seeing this. I guess it’s back to the drawing board. Thanks, Spencer! I actually created a site around a bad keyword a while ago, and I couldn’t figure out for the longest time why I wasn’t ranking. Then I went back to basics and looked what all the things I may have missed. I felt like such an idiot. That’s life. You live and learn. I actually went back through Longtail Classroom which is amazing, and I highly suggest checking it out. What tablet plugin are you talking about? If you are wondering what plugin I used on my survival knife site; its the tablepress plugin. 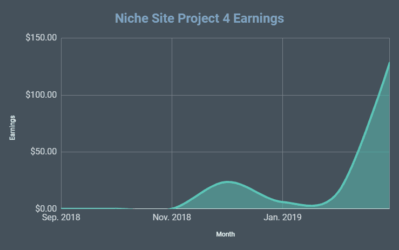 I’ve answered this question probably a couple of dozen times :)…I have no intention of creating a post about it (as I mentioned it already in my very first few posts of the niche site project). Useful insight to you way of thinking. In general I agree with the analysis. However if the same situation arose but the KC was below 30 I think (dont you) that it may still be ok to target, with an amazon affiliate program niche site? Steve, that is my point. If a KC of 29 or less occurs BUT all the top 10 sites are ecommerce, I will likely still avoid. For me personally, the rules don’t apply – I avoid the keyword. There are just too many OTHER great keywords where you don’t have to deal with this X-factor. (However, I’m fully aware that others will still target these ecommerce keywords that are below 30, and that’s just fine. You can probably still rank, but by no means will it be as easy as it is with other keywords). Spencer- Follow up question on this: What about keywords that generate “Shop for x on Google” as the top result? Would you categorize this as ecommerce and avoid just the same? Thanks and awesome post here – great stuff! Remember, I look at all 10 results. So, if a few other sites besides ecommerce results were showing up, I might still go after it. I never let 1 result determine whether or not I will target a keyword. Great insights. Lately you are coming out with very important stuff. This post is also useful as I am taken some inspiration from your niche site about survival knife and building my own site about amazon product. Thanks Spencer, great info- I’m sure you’ve saved me a whole heap of time with this post! What about results where you see the top 10 dominated by big authority style sites (I’m thinking webmd, wikihow, menshealth, cosmopolitan etc) even though the keyword meets all of the factors e.g. not too many (if any at all!!) inbound links, not using the keyword in the title etc. On the surface it looks like an excellent keyword but the domain’s authority seems to be what’s ranking it. Do you think that’s beatable? I prefer to see week types of sites; however, the situation you described is something I’m more likely to tackle than an ecommerce keyword personally. Especially is they are NOT targeting the keyword in the title like you said. Both examples have a AKC of 37 & 46. I would not even bother with those numbers. Right? You even say yourself you would consider under 35 only. If you stay between 20 & 30 there shouldn’t be a problem. Right? Does LTP consider e-commerce sites when calculating its score? Maybe it should. I wished I could have provided a better example. It would have been a better example if “Queen Comforter” only had a KC of 25. I would STILL not go after this keyword – because of the ecommerce results. That’s the point I was trying to make. If there is one thing I never underestimate when analysing competition, it is Domain Authority. It is basically the Search Enigine’s way of displaying trust. I think a good example of this is Squidoo. Many of the keywords I research highlight Squidoo Lenses as potential competitors – while this is a good indication that ranking higher is possible, many of these lenses are very shy on content and rammed with links to Amazon…so why are they there??? Sure it could be some good on page SEO or elaborate linking schemes but my opinion is the authority of Squidoo itself which is boosting the rankings. Adding prefixes like “best” or suffixes like “review” is a great tip and something I do regularly. If someone wants to buy something from Amazon they will just get it from Amazon…If however, they are looking for more information than what Amazon provides then this your chance to step in and direct the sale. Something I have been experimenting with recently is PPC campaigns to place me ahead of E-Commerce sites…One of my sales pages resulted in a 35% conversion rate and was just a case of feeding the machine. It also proved to me that trying to rank organically was probably worth the effort and that the sales page was fairly effective. You are correct that Domain Authority is important to a certain degree; but even in your example, Squidoo pages are usually very easy to beat – even though they have a high Domain Authority. That’s why PageAuthority is much more important. Other than adding “best”, “review” etc. you can try adding just a “s” after the product name. For example “heart rate monitor” is not the same as “heart rate monitors”. People tying in “s” are in research mode and so I think Google displays other sites also apart from ecommerce sites. I found keyword of one my site like this. Without “s” it was over 12000 exact match searches while with “s” it was over 5000 exact match searches. Also the with “s” keyword had some other types of sites apart from ecommerce in top 10. I have to say, I think you’re slightly off the mark here. I initially made my living online by ranking content sites abut BRANDED products, the competition for which in Google was exclusively ecommerce sites. Most of them still rank in the top 5. Seeing if you can beat the competition is just a slightly different art from. Dynamic Amazon pages in the top 5 are an indicator I will look for when going after a typical “ecommerce” site. Queries about products are entirely transactional. When somebody types in “hiking boots” it’s both an informational and a transactional. Dan – Always great to have different opinions – helps us all think a little more deeply about how we do things. Targeting branded keywords can certainly be a profitable strategy (which I’ve done); but it doesn’t mean all the results of a brand keyword are all ecommerce sites; this is very often not the case. My main premise has nothing to do what might be consider an “ecommerce” keyword. For example, I agree that “hiking boots” is both information and ecommerce/transactional. So is “survival knife”. But what I’m pointing out is the existing top 10 results for these keywords. “Hiking Boots” has ONLY ecommerce sites ranking in the top 10 (so I’d avoid). Survival Knife has site OTHER than ecommerce sites; so it could be a potential keyword. Dan, great to see a different opinion indeed, but, perhaps you would be kind enough to share of what does that “different art form” actually mean? More high quality backlinks? Great tip Spencer, I have a couple of niches that I’ve been looking at lately and noticed after looking at them again that almost all the results were ecommerce with a domain authority between 90 to 100. Glad I didn’t pick that niche. Having just launched an ecommerce site, I’ve got to say that I am loving being on Google’s “good side”. The algo is definitely skewed in favor of Ecommerce, and my little site with hardly any backlinks is steadily pulling in 60+ traffic per day. A few months ago I wrote a web page for an ecommerce term (Baby Einstein Exersaucers) , but that a lot of mommy blogs were ranking for. I too, ranked for the word, but then Google updated and pushed my page and all of the mommy blogs off of page 1 in favor of Ecommerce. So, even it looks good now, those aff sites can get knocked off pretty quick. 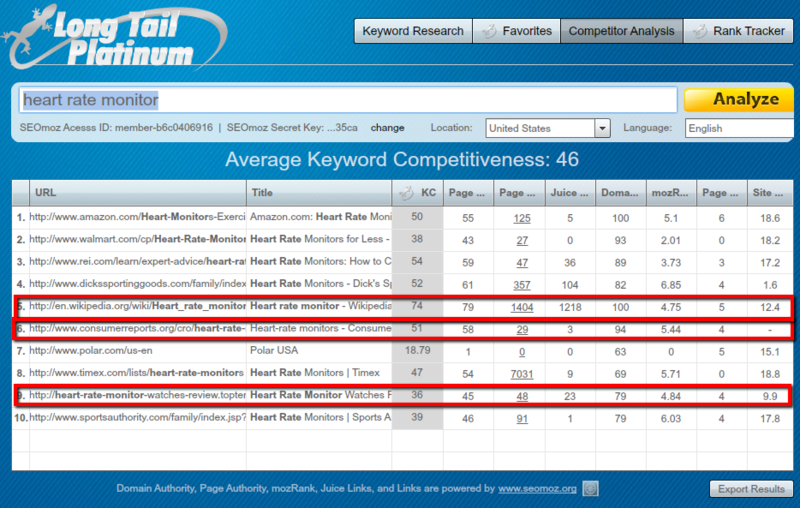 Great post on analyzing the competition for “eCommerce” keywords. As of right now I’m targeting an “eCommerce” keyword that has an KC of 34. 8 out of 10 sites are eCommerce sites, Amazon being #1. I think I can outrank these guys and it all comes down to the site you build. If Google wants an eCommerce site then build a niche eCommerce styled site. I bet I’ll have a better On-page SEO then these Amazon listing. 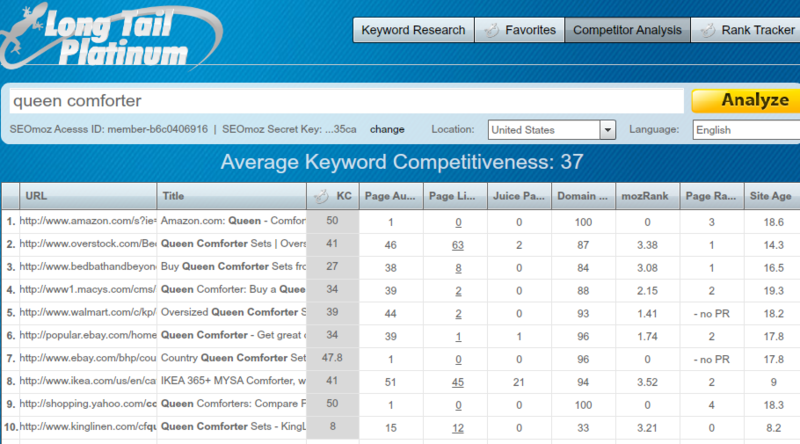 Only time will tell, hopefully I’ll be rank #1 for my “eCommerce” keyword! You are spot on Spencer. Try this out if anyone needs further proof. Go to Google and type in top 100 lenses in Squidoo…I think you will see not one of them is ranking for a branded product name. I have seen oh so many courses for both Squidoo and Amazon affiliates who teach things like go to the best sellers list on Amazon, pick out the product name and write a review. That flat out does not work in my opinion. Sometimes we are all guilty of trying to have rules to pick out a winning niche. The best way is to type in any keyword you are trying to rank for and just look at the top 10 results. You will know just by looking if you pause and understand the type of sites that are ranking. I think what a lot of you are missing is not whether you COULD rank for these types of keywords but rather if you SHOULD put in the effort to when there are many easier to rank for terms to be found. You COULD rank for ANY keyword given enough time, effort and money. Spencer is trying to give his advice on which ones to spend your time and effort on that will give you the easiest and best chance to rank with the least amount of resources. Great post Spencer, as this is something we have experimented a lot with ourselves (as this is definitely in our wheelhouse). We specifically target niche e-commerce as you know, and wondered how it would go if we tried to rank a niche information site (for a product based keyword), with the intention of adding product to it after we ranked. We did find that it wasn’t doing so well, so we made a couple of changes. We increased the keyword density (many competitors had up to 35% keyword density as many e-commerce sites do due to the nature of their structure) and added the Woocommerce plugin to the wordpress installation, as well as adding a couple of dozen “coming soon” products. We were able to rank the site much easier from then on, and this is how we approach a new e-commerce site now (saves you spending any money on product until you have the traffic). We still use the same metrics that you do for information sites though when using Longtail. All the best! I follow both of you guys a lot. And this was exactly what i was going to ask both of you anyway. Every since I heard your podcast together my modus has been to go the e-commerce route. You two guys rock ever so much and am indebted to you. Spencer I’ve been following you for the last 2-3 years prior to your leaving your job. You are and inspiration. Nathan i got both of your books and have followed to the letter with so far. Thanks for your leadership guys. Interesting.. I saw that woocommerce has also the Amazon affiliate plugin option. What do you think about this ? Does google penalize you for using an ecommerce store but selling affiliate products only ? I personally can’t believe it, but would be great what you think about this ? No, Google won’t penalize you for selling affiliate products. – But you better have more than just affiliate products on your site – you need rich original content as well. Excellent post. For my first couple of sites, I tried to beat amazon/overstock/etc… and I lost! Every time! Not saying you *can’t* beat those sites, but as Tigue Burgess wrote, it’s just not worth the effort, when there are so many other opportunities that are easier (and likely to be more profitable). Also—thanks for including the note about other types of sites that will be hard to beat. I have a friend who has made some excellent sites about medical issues, and he’s had a very hard time cracking the top ten. 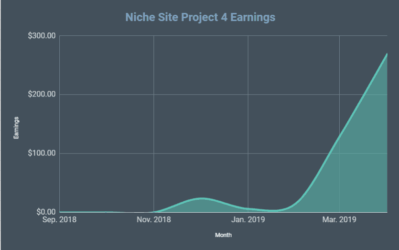 I was reading the niche site steps over again this weekend and comparing your post’s notes with what you did on your site. Somehow I happened to search in google and noticed that on number 2 there’s a .net behind your survival knife that’s an exact carbon copy of your site (different content what not). How do you handle this, and are there any measures do you recommend to keep staying on top? This person is a copy cat indeed; I expected it because I shared my site and keyword on my blog. The only thing I can do is continue to have a better site than them and continue to rank better than them. Oh and also, I’m more original than them, so I’ll have lots of sites better than them because they can’t copy everything :). I saw this too. While I think this guy is a jerk for simply copying it’s a great opportunity to analyze his site compare to Spencer’s and figure out the similarities and differences which lead to the related rankings. What this “jerk” has also done is managed to rank for Survival Knife which has even more traffic than Best Survival Knife. By analyzing his site we can learn how that was done. All I could do is to laugh with you, Spencer. You’ ve said it all. “THEY CAN’T COPY EVERYTHING”. Lol. I have a superlative e-commerce site from a script by Coolice selling kindle-books and the hardback versions. It updates itself once a fortnight and pulls in all data from a Amazon, over 600 pages. 30 categories of books, the site could easily be re-done (cloned) 30 times over, each fronting a different genure of book type rather than the mixture I have now. Apart from an inital bit of baclinking many months ago I have done nothing to promote it It gets 30-40 visitors per day and pushes a few people a day to Amazon and gets a couple of sales per month. No problems with google. But like i say, have done nothing!!! Imagine if I sent traffic to it directly or did some more backlinking what would happen. It’s just a brilliant e-commerce site. Why am I telling you this. Do you see the potential. Looks like We should be building good, exclusively e-commerce sites and not worry about about making authority sites and paying for loads of articles to be written or writing them ourselves to push the ads. How time consuming. Perhaps this is the way it’s going. How about Youtube results? I saw many Youtube vids for my keywords research? This might be a similar situation. Again, I go after keywords I know I can rank for – having nothing but Youtube videos tells me Google wants videos (usually), so I would pass. (But doesn’t mean you couldn’t rank without effort, just might be harder). How did penguin 2.0 treat you? Was there any bad or good effect? Almost no effect. Any movement was very minor. As you can see, my survival knife site is still at the top of Google. Good post, adding a buying keyword to the title and making the articles as in depth possible to pick up the long tails is my strategy with targeting individual products. This is an eye-opener article Spencer! Perhaps it’s the reason why my site about “stainless steel refrigerator” is not ranked well. the first 10 pages almost have zero page rank and 0 backlinks. But my site doesnt even appear in the serp for that keyword. I too had this problem when I tried to rank for the engagement ring niche and now I know why. Now I realise that we’ve got to rank for keywords that people want buying decision information on, and this is why the word “Best” is an excellent choice as you and Spencer have proven. This post pretty much sums up the most important thing I have learnt from you over the last few months, in a word “Intent” the commonality is simple Google is getting very good at providing results based on the search string entered. I like Abhijit comment and have seen the same results, regarding adding or taking away an “s” on a product. This is a good example of just how good Google is getting at understanding what the searcher wants. Great post! Most of the product related keywords are dominated by Amazon! Google just love Amazon! What a fantastic post. My biz partner and I were just discussing this, and this pretty much answered everything. Always useful info here…thanks! Here’s a weird thing that happened, and I’m hoping your expertise can help me out. In a site I made, one of the pages is the one ranking for the main keyword not the home/main page. It’s like for example, your knife site has a page like “best survival knife to bring for camping”, while the main page is the best survival knife. But what happened is, it isn’t the main page that ranks in the top 10 but one of the “supporting” pages. Why did this happen? And should/can I fix this so it’ll be the home page that ranks? If you are already at #1, I would focus on continuing to add great content. And perhaps seek out only higher quality links (if any at all). Give it some time; perhaps its a newer site… Also, probably means you are using the exact keyword on multiple pages. I can see lot of sites which are giving top ten,Top 5 best sites for many keywords for an eCommerce based keywords and amazon also listed in search.But no root domain.SO do you think its easy to outrank them ? I don’t understand your question. If anyone else does; feel free to jump in. I think it’s very easy to search a product keyword where the serps Show only amazon, ebay, walmart etc. For the phrase “keyword review” and then target this. Works quite well for me while ranking for “keyword” only does not work in this case. Thanks for the Inspiration Spencer ! Hi Spencer, nice post again. I have a question in the Netherlands we have a lot of so called ‘comparing websites’. Where they compare different products of the same type. Like different types of TV’s. Does these also count for eCommerce websites? They don’t sell it. It’s just comparing prices and stuff. 10) weak EMD website, with no content about this product type, at the moment they are promoting the sims game which has nothing to do the keyword. 4 has no backlinks, 2 has 1 backlinks. Not sure if this is worth a shot. It’s a product in the 500$ – 4000$ range, so it might be interesting. It’s in my own language so no English website.. Yes, this result looks like its worth a shot. I wouldn’t include a “comparing” website as an ecommerce site. I see lots of other types of sites ranking, so you could certainly potentially rank as well. thank you for outlining the competition metrics for ecommerce and product sites. This will be really helpful, especially since I want to participate in Pat Flynns NSD 2.0. Maybe you could get into this context and enlarge your audience on this way? 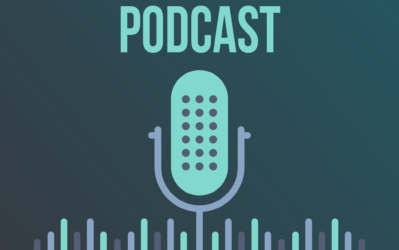 I loved your interview in the SPI podcast! Hi Spencer. God bless you real good. Been searching all over for an authoritative post on this topic. Just when I was about to farm out some ecommerce dominated keyword to my writer your post came in. You just saved me alot of headache. I have realised that alot of my keywords come with ecommerce site. I only get a few with Yahoo Answer in it and the likelihood of ranking might still be in doubt. You have reinforced my doubt on these keywords. Will go do some more work in search of the real keywords easy to rank for. If its all ecommerce sites, then no. This is the exact situation I wrote the post for. (Even if its low competition – like a 28 KC – I won’t go after it if its dominated by ecommerce sites). I was scratching my head over this subject for a while and wondering why my niche site was going nowhere in the serps even though with Long Tail Pro it was telling me that the keyword was not optimised. Oddly enough though I also went for one keyword in that niche and started ranking for it after about 5 days. I got to #149 in Google and then danced for 2 days and then disappeared completely! I did no back linking to it what so ever! So I don’t know what happened there! You have really clarified keyword research for me even better now, and I will be avoiding ecommerce sites for sure. I wonder what you would have to do to beat the ecommerce sites though. A heck of a lot of work and quality linking i would imagine! So I’ve now labelled my first niche site as a failure!… I’m giving up on this niche nonsense all together now as it didn’t work for me!!!! !……..only kidding!!! Nope its not my site. You found one of my many copycats most likely. I stand corrected! I just checked the ranking on the keyword phrase I mentioned as it’s now ranking at #63, but I am still moving on from this as the main keyword I chose was an ecommerce keyword and still ranking nowhere. This is what I hate about Google, I am too believe that they are biased with eCommerce site as this are the sites where they generate income. Spencer – thanks for sharing the awesome info. I knew NOTHING about this business two months ago and now I have a niche site sitting #1 in Google! Regarding Page Authority, I notice my site’s Page Authority is still relatively low. What can I do to improve it? Are there any tools or methods to analyze why it’s low and what actions to take? Its because its a new site. As you gain more links, age, social signals, etc – your pageauthority will grow. I want to start an e-commerce site selling a product that can be drop shipped and/or eventually being able to fulfill on my own. I think I found a keyword for this product. The SERP’s are all e-commerce sites. Any suggestions? 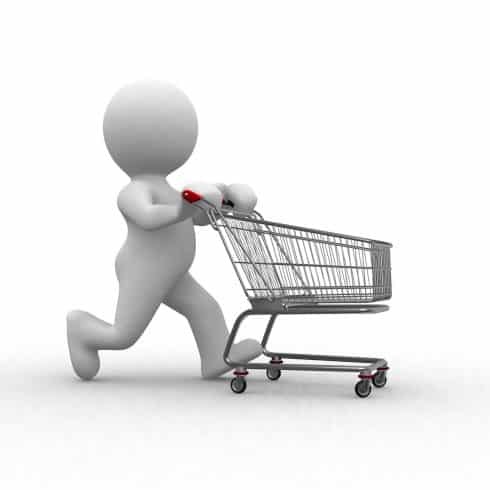 If you are starting an ecommerce site then you should be able to compete. Any suggestions on how to set up an eCommerce site? Oops. About 1 minute too late. Wish I had checked this site before going to NameCheap. I know its off topic.I have a site and when i search the keyword within double qoutes,first in google. I am commenting again on the same post to let you know that ‘Best survival knife guide’ is at 2nd place in Google. I hate when people learn something from a person copycat same within the same niche. So I hate the person who literally stolen your idea and ranking well. Kay I can see that you have lot of content and backlinks than that 1st site only you are missing is ‘Google Authorship’ snippet. Please go and create a new Google account and link it to ‘best survival knife guide’…….hope it will benefit. Please please please do that. I am a bit confused. I have found some keywords that are buying keywords for example reciprocating saws for sale has a KC of 26 and has amazon.com, sear.com, tooking.com and a few other sites toolbarn.com/power-tools/cordless-tools/saws/recip-saws.html, grainger.com/Grainger/reciprocating-saws/power-saws-and-accessories/power-tools/ecatalog/N-cbkZh9h on the top ten results. These sites are all selling reciprocating saws. Can I build my own affiliate site linking to amazon as well for these saws if as the KC from LTP suggests there is some weakness or do I just leave this keyword because all the sites are ecommerce sites selling saws. What do you think? I apologize for the long question, I just want some clarification about these for sale keywords. Josh – when all results are ecommerce sites (like your example) – the normal seo rules don’t apply. So, that’s what I’m trying to say – even if the KC is 26; you should avoid the keyword. That’s my opinion. Think of it as if you were Google. 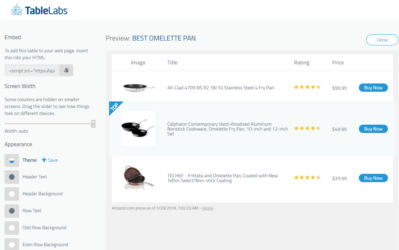 If a user is searching for [reciprocating saws for sale], the user most likely wants to BUY that product, so you would want reputable eCommerce sites to be listed first for that query. If a site is not actually selling the product, you don’t want to show it in the top search results. If you’re Google, you want to show the most RELEVANT search results for the query. 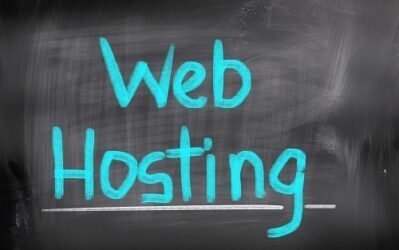 I have a site which contains 5 articles and 2 weeks old site.Do you think this is the right time to make back links or should I wait some more days ? IS it possible to rank a site by 5 articles and my domain is exact match and as per the Google keyword the KC is High.Should I keep on adding more articles ? what about keywords that compete with wikipedia, linkedin, job career platforms ? Do you see it the same way like with ecommerce sites ? Remember, its only if ALL the results are the same. So, if every page was a wikipedia result – then yes its the same (but I’ve never seen that happen). You can still compete if there is only 1 wikipedia result. Job platforms might be a good example; but not always. Really depends on the keyword. Good points Spencer. Basically, whether or not a Search Engine wants eCommerce sites ranked first is dependent on the Most Likely User Intent. For example, a search for [queen sized mattress] will favor ecommerce sites, whereas a search for [queen sized mattress reviews] will favor informational sites and would be much easier for a niche site that’s not actually selling the product. As you mentioned, there are other areas where Search Engines tend to favor more “authoritative” sites. Think of these as “Your Money or Your Life” topics. These days, anything related to medical problems, or financial advice, for example, are going to be hard to rank for if you don’t have some sort of authority in that field. The human raters that train Search Engine algorithms specifically look for Authority when it comes to these types of topics because it’s generally accepted that users will prefer medical advice from The Mayo Clinic rather than an anonymous source who may or may not know what he’s talking about. Loving Long Tail Platinum, it’s a great tool! Wish it had the ability to create more than multiple “Favorites” lists though. Maybe in the future? You can sort your favorites list by “campaigns” already, so this helps segment them. No plans to create multiple fav lists at this time. I totally disagree with you that we could not outrank ecommerce sites. Here is an one example of my website …. just search for “Coccyx Cushion Review” or “Best Coccyx Cushion” over Google, & you will found that my website http://www.coccyxcushionreview.com is on TOP of Google & Outrank Amazon.com. So.. what is your final views now…. kindly share with me. Your keyword includes the words “review” and “best” — in this case, the most likely user intent is that the user wants information. This is why you can outrank an eCommerce site. If you look at the search results for the keyword [Coccyx Cushion] you will see all or mostly eCommerce sites, because the most likely user intent for that keyword is to BUY the product. Rater-X has it exactly right here. Your example keywords are not what I would consider “ecommerce” keywords – you have great informational keywords. Anytime you add the modifier of “review” or “best” you are entering territory where users are searching for information. This is the exact same approach I took with my example niche site – my keyword is “best survival knife” – its a great informational review website. In particular, your keyword “best coccyx cushion” is a great example of the point I was trying to make where around half the results ARE ecommerce sites (like Amazon), but the others are things like wisegeek and yahoo answers; these are great signs to move ahead. I love the disagreement though, as it helps me and others think more deeply about how we see things…thank you! Yes… You both (Rater-X & Spencer) are saying right … that my keyword are informational keywords not an e-commerce based keywords but my concern is that when we can outrank an eCommerce website for informational keywords, then i am quite confident that we can also outrank these e-commerce websites in same manner by adding highly useful content for visitors & building high authority backlinks. I hope … that in this point, now you will totally agree with me ! Kindly share your valuable feedback. Hey Navjot – great discussion here. I actually DO agree with you that its possible to outrank ecommerce websites. However, my overall point is that these are often more difficult to outrank – even though the traditional SEO stats make them appear easy. These are not easy (in my opinion) and our time would be better spent targeting different keywords. I agree with Spencer that there would be easier keywords to rank for. It may be possible now, with a lot of backlinking efforts etc. But as time goes on, Search Engines are getting better about matching User Intent with the Most Relevant Content. So, if the query is a BUYING keyword (the most likely intent is the user wants to buy the product) — can you outrank an eCommerce site with a niche informational site? Possibly. But search engines are now making a determined effort to avoid this, so it will be an uphill battle. “Useful content” for a buying keyword is a website that is selling that product. A website providing INFO about the product is perhaps “relevant” but not Useful. This is how sites are rated, by the way – on a scale, not black-and-white. So you can still rank, but you will (and should) rank lower than the eCommerce site for a buying keyword. I hope you got the point…. What Spencer trying to explain here,if all are ecommerce sites then very difficult to rank…. I have a question that I hope you can help me with although slightly off topic. I often see keywords on LTP that have a low KC high CPC but very low competition. For example CPC of over a $2 but the competition may only be 1 or 2. It puzzles me how the competition can be so low but the CPC high. Can you shed any light on this? Would you go for these keywords? You are referring to Advertiser Competition. This means there are only 1 or 2 advertisers. So, if 1 advertiser bids $1, then that’s the CPC. But if that advertiser goes away, then then cpc is well nothing. Hope that helps. Yep! I wish I had known that 6 months ago! No matter how weak those sites may appear, it is difficult to crack the top ten if seven of the are, in my case, EDU sites! Spencer, one thing I am struggling with right now is ranking for the plural. It’s an odd situation where I am #2 on Google for “Best [Product]” but nowhere to be found for “Best [Products]”. The plural has less search results than the singular but still a decent chunk of traffic that I want to grab. Make sure you are using the plural on your website (at least in some locations). Spencer. I have come across a keyword, where the top ten is dominated by eCommerce sites, apart from one niche site, which is ranking 3rd, it is using amazon affiliate. I have a questions. Is the fact that the niche site using amazon affiliate , resulting in Google ranking the site higher. The domain name (X for sale)subject that it is a eCommerce site but closer inspection, it is a niche site. would you try to rank for this keyword..Hope it makes sense. If there is one weak site ranking, then perhaps you can too. Hi there Spencer! My congrats for the superb job with the blog! I would like to know if you consider a wikipedia site a threat for ranking (in the picture with three non e-commerce sites you showed, the one with a lot of rank and link juices is a wikipedia page…) or if you consider it a weak type like article directories? Thanks man, really love everything you do! Wikipedia is stronger than article directories. But can beaten, especially if you target the keyword better. No one searches with quotes. So, if your site is not ranking without quotes, its not ranking. Thanks a lot for this great post, It came exactly at a time I was wondering the same question. I searched on google and came across your site. But I also came across this one http://marketingwithsara.com/seo/buyer-keywords-alert wich was poster on september 2012. It basicly states the same information as you did. Going after [Brand] Product is worthless. No one mentioned the keyword in title. All 9 lists are eCommerce site and only one site at second which is an affiliate site having 3 months old and it doesn't have exact keyword in title. What do you think,Mr Spencer about this keyword.Can I choose the keyword. The weak affiliate site tells me that the keyword has potential. Especially if they are not targeting keyword; might be worth a try. This is great information Spence. Along with other commenters, I think this advice just saved me some time and frustration. Thanks again for sharing from your lessons and experiences. I wish I knew about this earlier. I just started a website where 80% on the first page are retailers. I’m in the hope mode now that I can rank in the top 5. It has a KC=26 but a exact domain did not exist. So I added review to the end for a ‘,com’ name. Other than that it seems the retailers are not targeting the keyword exactly, but I will. If you want I could report back, If I not close to ranking in 2 months I’ll move on. Thanks again for the Long Tail. It’s much faster. Using one dash ( – ) is probably fine. I’ve spent 7 days looking for another good long tail keyword and none seem easy to target. I’ve been thinking, if Google favors e-commerce sites why bother with other kind of sites and focus in e-commerce? I also think that blogs take much longer to take off and to make money than if you just start an e-commerce site. What’s your thoughts on building your own ecommerce site, in the event that that particular keyword isn’t found in the domain name, and used rarely on the other commerce sites that are ranking top ten? Since I’ve purchased LTP I have seen a steady climb in my traffiic. What I do is conentrate on writing quality content and use LTP to produce a list of keywords from 500 local searches on. This gives me an indicatfin of what keywords to produce reviews for, since my site is all about unique products. Because LTP provides quick access to vital post information, I’m able to plan my site content around good keywords. If I need a low local search keyword, I’ll do a short post on it. If LTP reveals a keyword with a gazillion local seaches, you can bet that that post is going up ASAP. LTP is certainly a timesaver and your blog provides insight into the entire SEO/Goole thing. I don’t simply choose a keyword and crank out the copy. Once I do choose one or several, I reasearch the heck out of it, so I know what the web contains, good copy or bad, for a particular keyword. I have to chuckled when I hear about bloggers advising that it only takes 45 moinutes or less to bang out a post. Sure. And the quality of these sites reflect this. It takes me an average of 4.5 hrs. per post. I think my traffic rise is due in part to ranking for keywords others have missed, that are unique, like your :Spencer loves honeycombs” example. I’ve recently checked and rank in the top ten for some keywords. I also avoid ecommerce keywords like the plague, altho I have messed up with on site that includes a brand name in the site URL (http://www.Orvisdogbeds.org) Oops! I have one clarification. You suggest avoiding a keyword if the top 10 Google result is mostly e-commerce sites. Is this because these big e-commerce sites, like Amazon, ebay, Wal-Mart, Macy’s are giant and have higher authority (PA and/or DA), or is it due to your assumption, which is quite solid, Google engines mimics the behavior and intention of human users who type in the keyword in order to purchase this product? In other words, what if all the e-commerce sites on top #10 are smaller and less known ones, like Crateandbarrel or Laz-boy.com? Should I avoid targeting such a keyword? I’m opening up a new e-commerce site SELLING furniture. So my concern is that if you’re making this insightful suggestion to all websites, except for e-commerce sites like mine, or just to ALL websites? thank you immensely for your clarification! Its because Google mimics the intention of users intent. Less about authority. Based on that Google mimics the intention of users intent, less about authority of the big e-commerce, would you suggest small e-commerce owners to compete with Amazon (if it meets your most criteria for example less than 10 links) or still be better off avoiding such a keyword? I really value your professional experience and would be highly grateful to your insightful opinion! Yes, a small ecommerce site can compete with Amazon and others for ecommerce terms. They have what searchers are looking for (intent). A little digress from the subject. After searching a ton of keywords on Google, I found the top 10 results are filled with big companies, like eBay, Walmart, Macy’s, Target, etc, and it seems to me Google especially favors Amazon, because it is displayed for every keyword. By the way, my site sells furniture. I learned Google is getting leaning more toward big players with authority, which makes small medium companies harder to find themselves in top 10 SERPs. But some argue this is not true. I don’t think Google prefers those big companies; neither do I believe Amazon’s high DA of the root domain plays a role here. But I’m just puzzled why Amazon can make it in top 10 for almost every commercial product on the market (whether long tail or head keyword) and very often the listed Amazon page is no higher than PR2 or PA30 with very little external links. Is this the observation of you and everyone on this thread as well? Again, many thanks for your previous answer. This is kind of what I was thinking. I was thinking about how with Google Adwords you can use dynamic keywords so that your ad shows up for whatever keyword the person searches for. For instance, one of my keyword searches yielded an Amazon page that had exactly this: best KEYWORD HERE. My search was both TOP and BEST keyword in lowercase. Maybe I’m just crazy, too?? Hey Spencer, what about a product keyword with 9 ecommerce results and one poor quality affiliate site with non native english content and almost no links sitting at no 7? I find a few words where I just see one poor affiliate site in amongst a bunch of ecommerce sites. Worth a try or just move on? Perhaps. If another affiliate site is ranking, then perhaps you can too. I usually like to see at least 2 weak sites, so its your call. When analyzing a ton of keywords for different products, an eBay page always occurs in top 10 Google SERP. And these eBay pages are mostly not assigned a PR. What’s more, when I checked their PA and links on Open Site Explorer, the tool always shows “No Data Available for the URL” of these eBay pages. I can’t help thinking perhaps Google really favors large site like eBay, Amazon, etc. Spencer I’ve got to compliment you. It’s extremely rare to see someone actually answering comments as you do. Mostly the questions are just left to sit there. The feedback from you is appreciated. And I also think it works to your favor too, as it gives your products more credibility as well, and that’s as it should be. Just finished a LTP trial and will buy it, nice to see it’s not from some anonymous person who can’t be contacted. Great article. How would you view a keyword ranking potential if 4 out of the 10 top Google spots are pinterest boards? I could have sworn that I saw a tidbit of this post in one of your other posts. My chosen niche has two ecommerce sites and basically just manufacturer sites. The KC in LTP is around 32, I think. I had the thought that there is no way that I can outrank Amazon. But, what about the other, related keywords? I understand targeting that main keyword, but what about the traffic from all those other words? Do they account for anything? Maybe, maybe not. I absolutely love the idea behind creating highly relevant, valuable niche sites like you have done with Survival Knives…Love it! I enjoy the hunt for the niche, then figuring out how to create great content, etc. So, I’m not giving up, for sure! It me back again.. asking about how you would view other types of slights such as Pinterest and Ebay as competition in the top 10 ? Looking at UK searches you’d never have chosen survival knife/knives as a key word as all of the top results are ecommerce stores. Most people in SEO believe that it’s actually quite easy to beat Amazon in key word listings. I’ve done it, but then I later changed my site to an ecommerce store, so can’t count that. I do think that since since the latest penguin update a lot of affiliate type sites have struggled. Providing rich content is the key. Hence Pat has his 50 articles rule for any new niche he’s investigating. Thanks for the super awesome post. I planned to create my first niche site and surfing around. I came across your post and man, I dropped the idea of creating niche site competing against e-commerce the same moment I read it. From then, I am following your articles very closely and learning from the amazing success stories. But now I am planning to target a niche which will be competing against “internal pages” of the giants like pcmag, reviews.cnet, lifehacker, gizmodo, gearpetrol. The internal pages rank from “PR NA to 0 to 4”. External links range from 10-100 with avg of 15-20 links for internal page. No root domain is ranking. I ran LTP and found that KC is 48. I believe that it is possible to beat the internal pages of those giants but need thoughts of an Expert. Kindly share your opinion if should I tackle this niche or is it like taking down the Goliath? Its possible to beat some internal pages; but with a KC of 48, I would stay far away from that keyword – its way too difficult. Thanks a lot Spencer. Your opinion is going to count the most for me. It’s such a shame, there is plenty of keywords with low competition to make a lot of cash, oh wait all the shops are at the top of Google. HOWEVER, there are so many un-used long tail keywords its unbelievable, even in the health niche i’ve picked out about 30 today. Hi Spencer, thank you for such great and valuable articles on you site. Is it the same optimizing and ranking your site for the singular and plural of a keyword? So, if the singular is a very competitive keyword is there any chance the plural might not be competitive at all? Hi, what about wikipedia pages? Are they easy to beat? So if you did want to sell this product that would be a great move right? What if you were selling this product using affilate links, such a Amazon, Clickbank or even a Dropshipping site? Still not the same if you are an affiliate. Dropshipping yes. So a great result I got there to answer my query from an authoritive source!